Thirsty Pilgrim: News and Notes From Belgium, February 2011 Edition. News and Notes From Belgium, February 2011 Edition. Let's shake the notebook a bit and see what falls out. First off: The kind Mr. Paul Briggs has updated his comprehensive list of Belgian beer festivals, and I've updated the link on the left. And this one. Check it out for your planning and/or dreaming purposes. Second off: Speaking of festivals, word arrives from Achouffe co-founder Chris Bauweraerts of an interesting little do up in Antwerp. The Antwerps Bier College is organizing its first Modeste Bier Festival on October 1 and 2 at the De Koninck brewery. The name honors the late Modeste Van den Bogeart, the longtime De Koninck brewmaster often credited with popularizing the bolleke. Duvel Moortgat now owns De Koninck. I think it's OK if we all hope the fest features some non-Duvel breweries. And looky there at the Flying Chouffe video attached to Chris' e-mail. Pure Belgian chicanery. Third off: The Hopduvel in Gent has apparently closed. Again. For now. Chris "Podge" Pollard, he of Podge's Belgian Beer Tours, notes a Flemish newspaper article on the closure. According to the report, fire inspectors shut the place down and paint a grim picture of its stability. It's not clear whether it would burst into flames like so much toilet paper or simply collapse like a house of toothpicks, but you get the idea. The company that now owns it will assess the cost of rehab whether it's worth it. Right. Where were we? Podge. Has an interesting lineup of tours coming up. Check them out and plan and/or dream. Fourth off: Have you been keeping tabs with the draft list at Moeder Lambic Fontainas? Facebook is a handy way to do it. Between this week's Zoigl, Uerige Alt, Dupont Monk's Stout, Rulles Estivale and Agullons Pale Ale, it's hard to know where I'd fit in the Taras Boulba and IV Saison. Between every other glass, I guess. Hmmm. Again with the dreaming. Fifth off: Taylor Brush has posted a newer, more refined version of the Beer Amongst the Belgians promo. Definitely worth a watch if you haven't yet. Offer them some feedback or, better yet, money. I like when Tim asks Jean Van Roy of Cantillon how much of his work is art and how much is science. "I think there is no science. Everything is a question of feeling." Uerige Alt at Moeder Lambic? What a wonderful place. During the week you can have one of the best ales made in Germany. And for the weekend, Lambic. 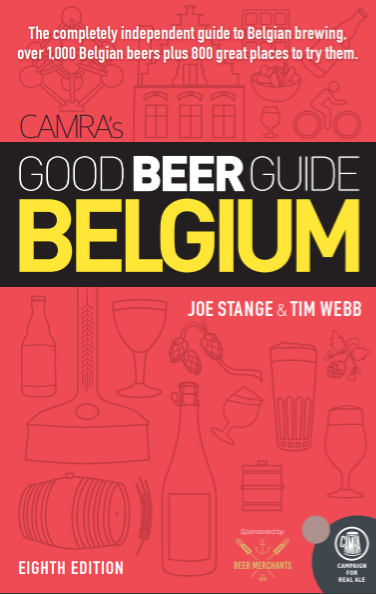 Congrats on the cameo in Beer Amongst the Belgians. The show certainly looks more interesting than Tournee Generale. But, I'm not quite sure I agree with the comment that "Belgians are in love with their beer". I think they're more in love with the IDEA of their beer. People keep telling them their beer is the best, yet they continue to reach for the Jupiler. Hopefully it's changing (to Tournee Generale's credit, I think it's the Jupiler drinkers' minds they're trying to change). I don't know, Darin... You don't think the Belgians who drink Jupiler are in love with it? There are a lot of wives out there to whom I'm really glad I'm not married. Doesn't mean their husbands don't love them. About the Uerige Alt... Drinking lots of it in Düsseldorf is one of those memorable life experiences. But I wonder if it would taste as good in Brussels? Aw, c'mon. You know what I mean, ya freakin' hippie. If the only cheap, light-bodied beer available that happened to sponsor their top football league was Vailima, they'd love that just as well.